One major question in life: what should I eat today? And it's a hard one. If you study or work at NUS, being spoiled by numerous food outlets, then it can be a very hard one. Maybe you are one of those people spending such a long time deciphering your own thoughts, or you have one friend who just cannot figure his/her own taste palette out. 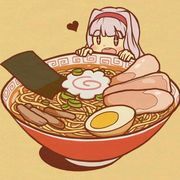 Itadakimasu is a telegrambot that help you to decide what to eat. 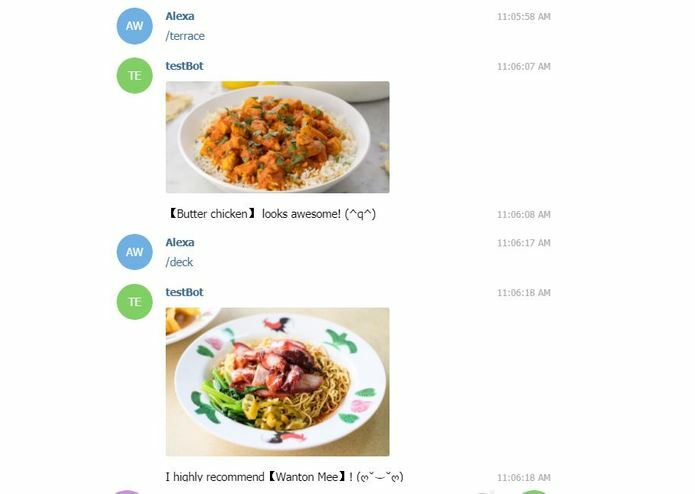 The user can input a name of a canteen in NUS, and the bot will reply with a random meal reconmmendation. We planned a 'favourite' feature, which can store a user's favourite dishes on Google cloud, so that the bot can reconmmend this dish if a canteen serves it. However, we did not have enough time to implement it. We will implement the 'favourite' feature mentioned above, and extend our databse to include more food outlets in NUS. Another possible extension is to use a learning algorithm to analyse users' taste and build future reconmmendations based on that. I worked on sending the photos of food and organising the stalls!